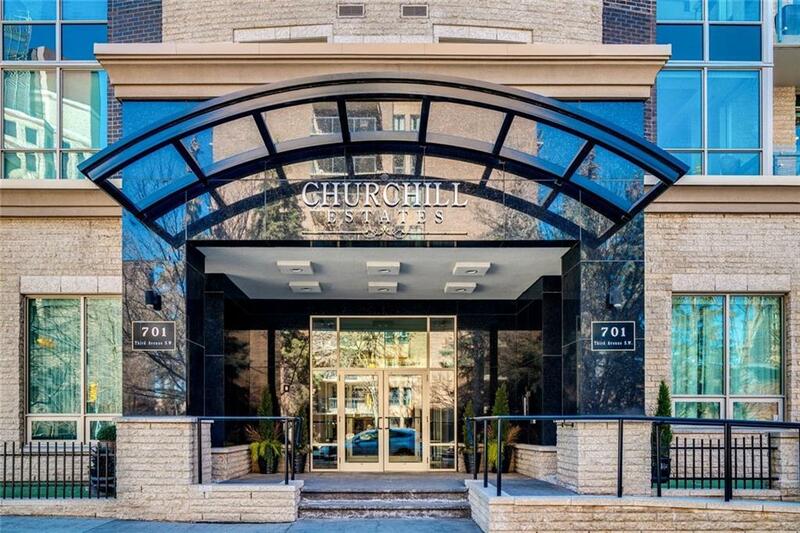 Welcome to the EXCLUSIVE "Churchill Estates! A LUXURY boutique style building situated in upscale EAU CLAIRE. This beautiful 2 bed/2 bath corner unit is steps away from shops, restaurants, the Bow River, and Parks. With over 400 SQ FT private PATIO, this home is an Entertainers Dream! 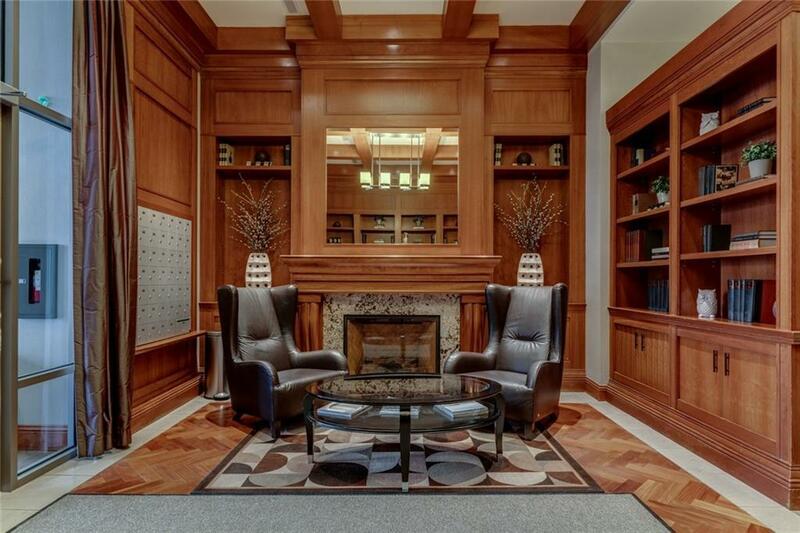 Inside youll find HIGH-END finishes: engineered hardwood floors, custom millwork, solid core doors, coffered ceilings, build in Dolby surround sound system, and state of the art soundproofing. 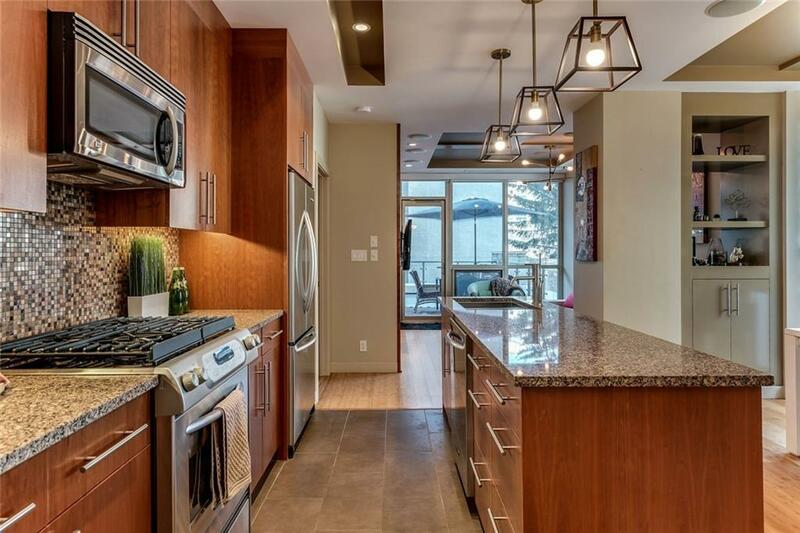 The GOURMET kitchen boasts plenty of natural light, upgraded S/S appliances, gas stove, granite counter tops, large island, and full height, soft closing maple cabinets w/plenty of storage. The Master bedroom is the perfect RETREAT w/room for a king size bed, custom built in wardrobe, spa like ensuite w/heated floors, soaker tub, double vanities & walk-in steam shower. 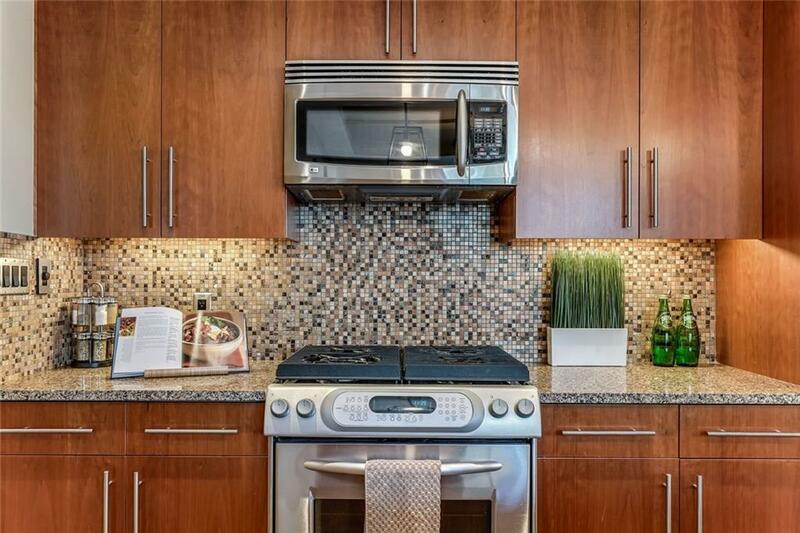 Two titled, heated underground parking stalls, and titled storage are also included. Concierge at your service & car wash-bay. Unit can be sold fully furnished!